New York, 1939. Tom Bradshaw is arrested for first degree murder. He stands accused of killing his brother. When Sefton Jelks, a top Manhattan lawyer, offers his services for nothing, penniless Tom has little choice but to accept his assurance of a lighter sentence. After Tom is tried, found guilty and sentenced, Jelks disappears, and the only way for him to prove his innocence would be to reveal his true identity something that he has sworn never to do in order to protect the woman he loves. Meanwhile, the young woman in question travels to New York, leaving their son behind in England, having decided she'll do whatever it takes to find the man she was to marry unwilling to believe that he died at sea. The only proof she has is a letter. A letter that has remained unopened on a mantelpiece in Bristol for over a year. In Jeffrey Archer's epic novel, family loyalties are stretched to their limits as secrets unravel, and the story moves from the backstreets of Bristol to the boardrooms of Manhattan. 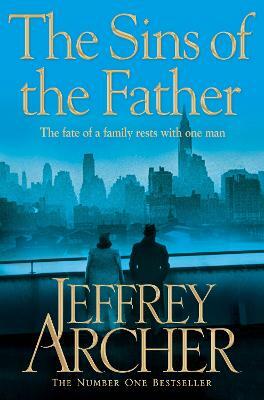 Jeffrey Archer, whose novels and short stories include Not a Penny More, Not a Penny Less, Kane and Abel and A Twist in the Tale, has topped the bestseller lists around the world, with sales of over 250 million copies. He is the only author ever to have been a number one bestseller in fiction (fourteen times), short stories (four times) and non-fiction (The Prison Diaries). The author is married with two sons, and lives in London and Cambridge.